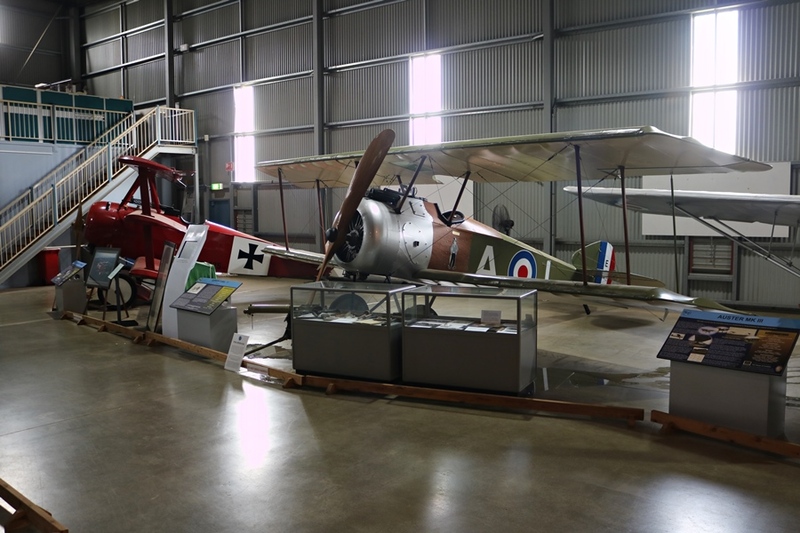 The Australian Army Flying Museum sits outside the Army Aviation Centre in Oakey, Queensland. 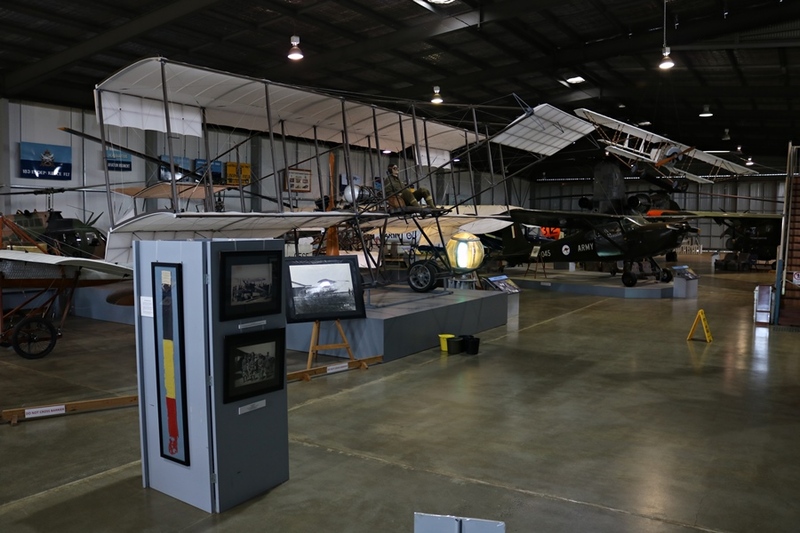 Here you can see a great collection of fixed wing aircraft and helicopters operated by the Australian Army Aviation Corps, including replica’s of a number of aircraft operated by the Australian Flying Corps (AFC) during World War One. 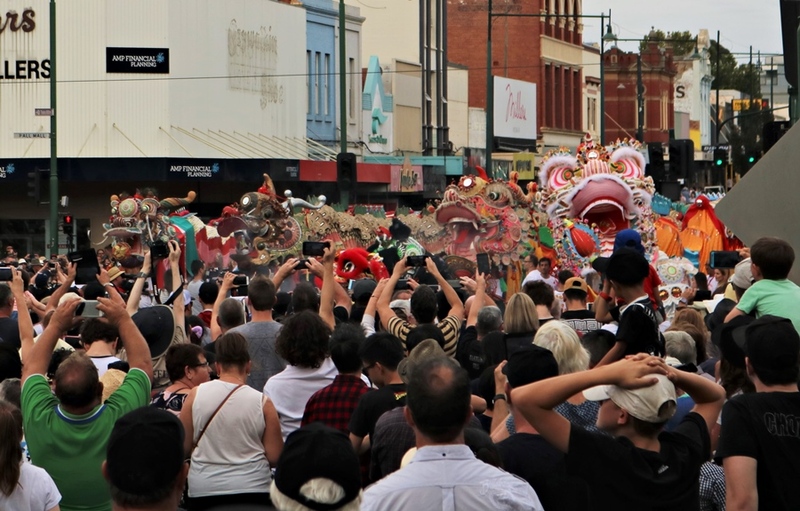 The AFC was a branch of the Australian Army and during World War One was an element of the Australian Imperial Force, which operated under the overall command structure of the British Royal Flying Corps. 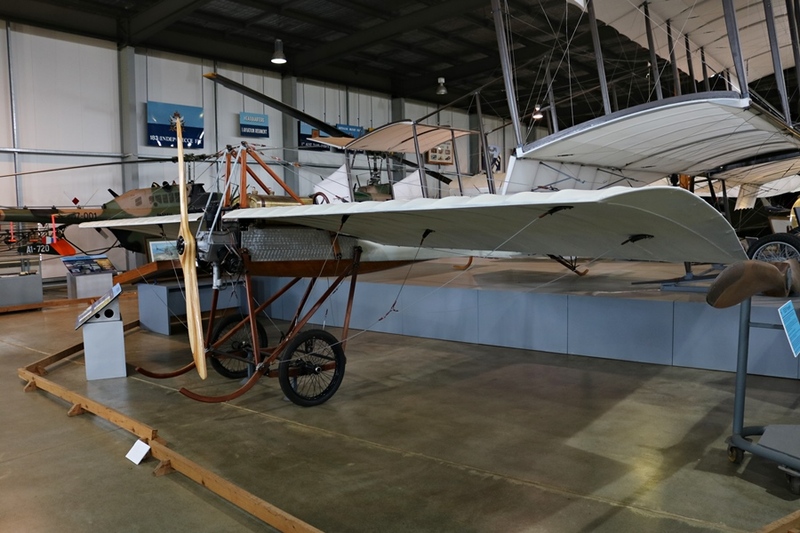 While the Central Flying School (CFS – established at Point Cook, Victoria in 1914) prepared pilots for war back at home, the first major AFC deployment was the Mesopotamian Half Flight that departed for the Middle East in 1915. 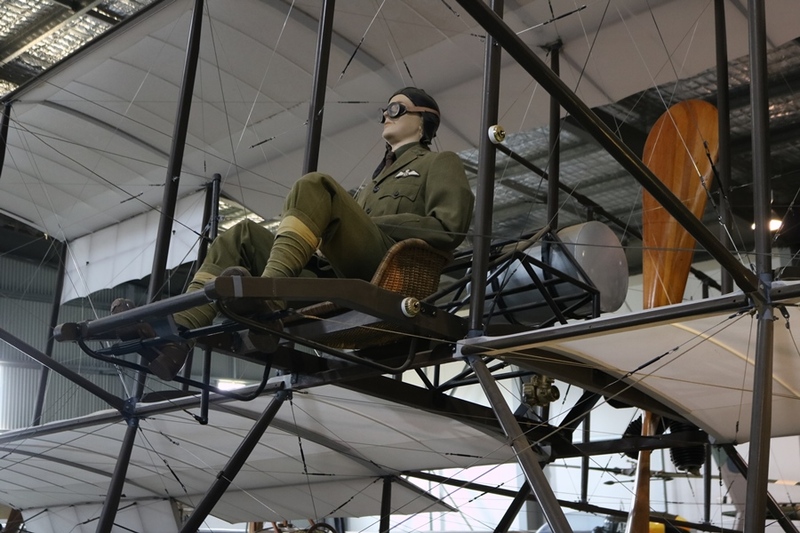 By 1917 the Australian role in the air war had expanded greatly! 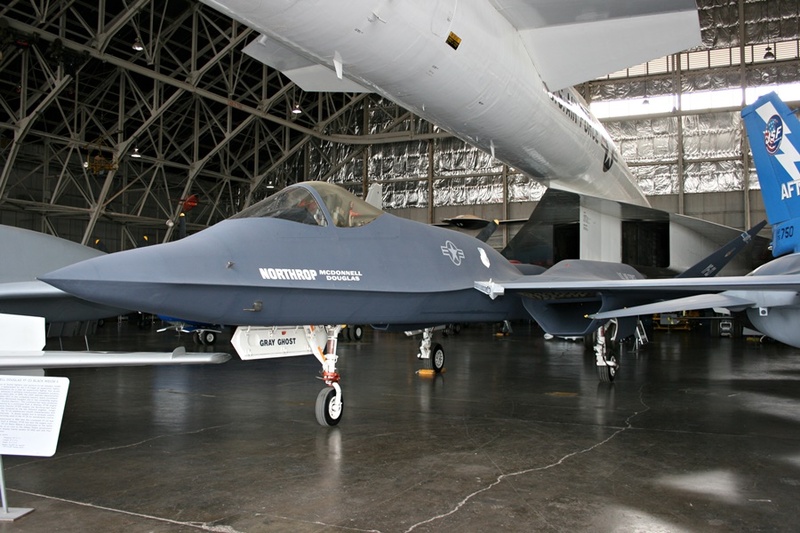 Four complete combat AFC squadrons took part in the war, flying observation, reconnaissance, photo reconnaissance, bombing, ground attack and scouting patrols to engage enemy aircraft over the battlefields of Europe and the Middle East – No. 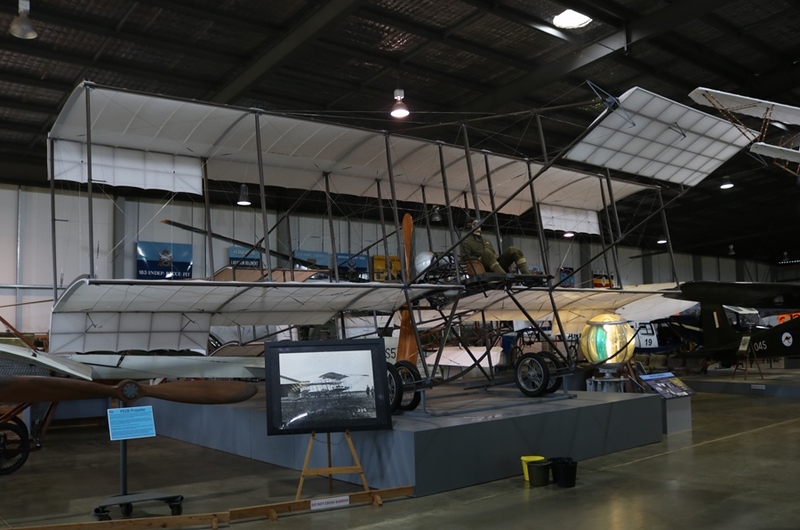 1 Squadron departed Australia for the Middle East in March 1916. By late 1917 No. 2, 3, and 4 Squadrons were formed to fight in France. The AFC also operated an Australian Training Wing in England, consisting of four training squadrons to train pilots to fly on the Western Front (No. 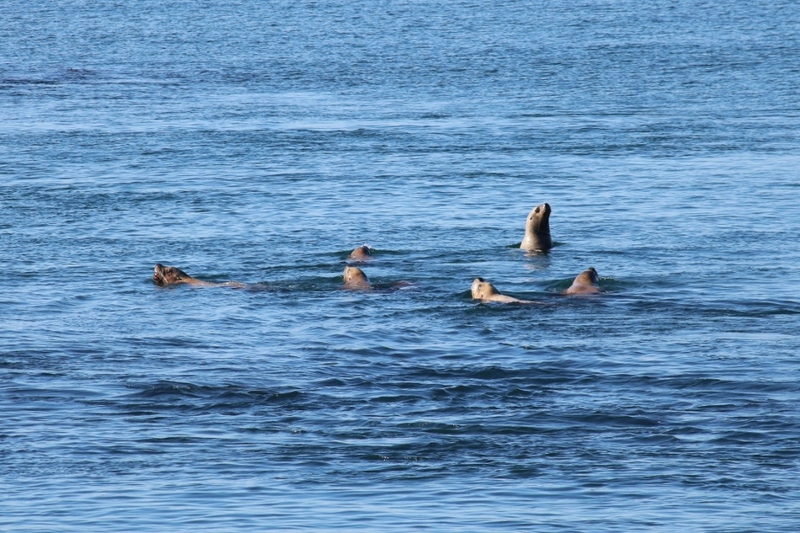 5, 6, 7 and 8 Squadrons). You can read more on the AFC here. 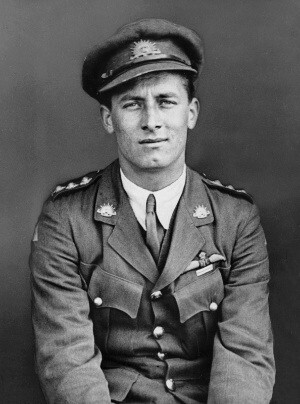 The top AFC air ace of the war was Arthur Henry (Harry) Cobby (1894-1955) DSO DSC from Victoria who achieved 29 air to air victories (19 scout fighters, 5 two seaters and 5 observation balloons that were generally well defended – a specialty of his in particular). This was quite an achievement as he only saw active air combat service for less than a year and achieved all these victories within six months between March 21st and September 4th, 1918! Cobby enlisted in 1916 and embarked for Europe in 1917, where he served with No. 4 Squadron flying the Sopwith Camel. 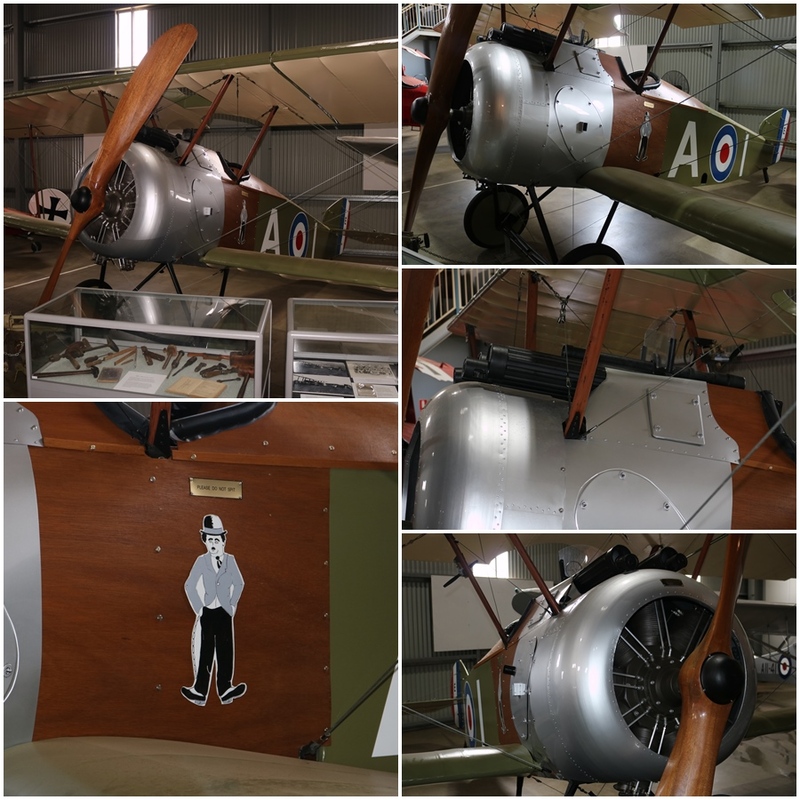 It seems he was quite a character, fitting his aircraft with aluminium cutouts of Charlie Chaplin! 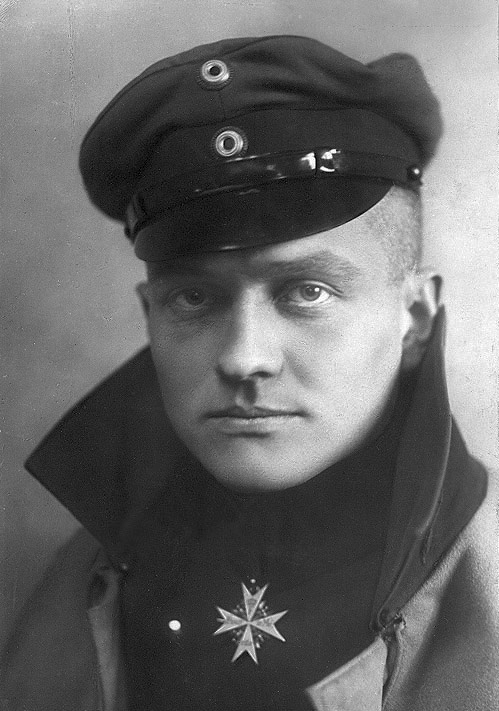 Cobby soon encountered the enemy including expert pilots from Manfred Von Richthofen’s “Flying Circus“, 2 of which he claimed as his first victories on March 21st, 1918 (Albatros D.V scout planes). He shot down 2 or more aircraft in a day on at least 5 occasions. By 1918 he was promoted to Captain and was awarded the Distinguished Service Order (DSO), Distinguished Flying Cross (DFC) and bars for bravery. 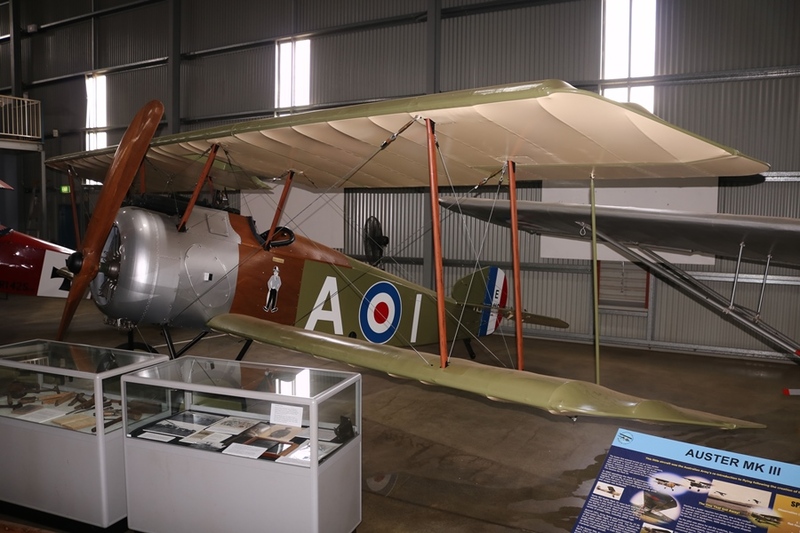 In September 1918 Cobby was reposted to England as a flight instructor, before returning to Australia in 1919 and later serving in command positions with the RAAF in the 1920’s and during World War Two. 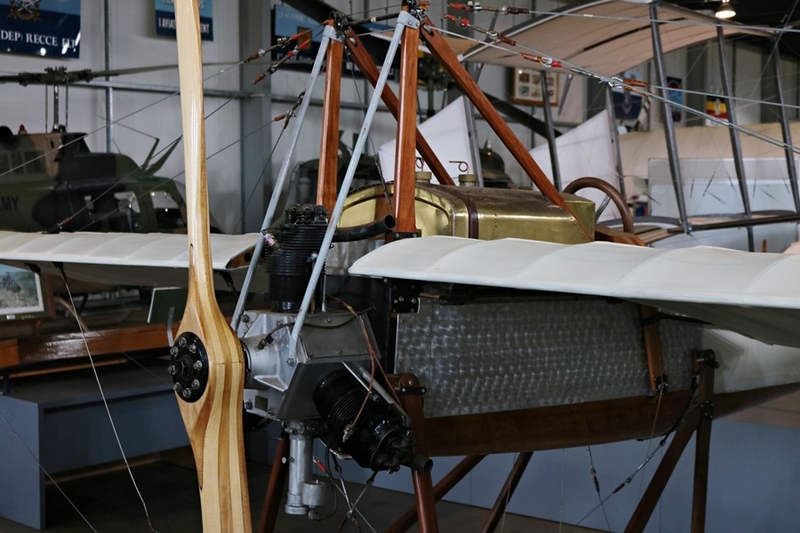 A replica of Cobby’s Sopwith Camel F.1 complete with Charlie Chaplin is on display at the Australian Army Flying Museum. 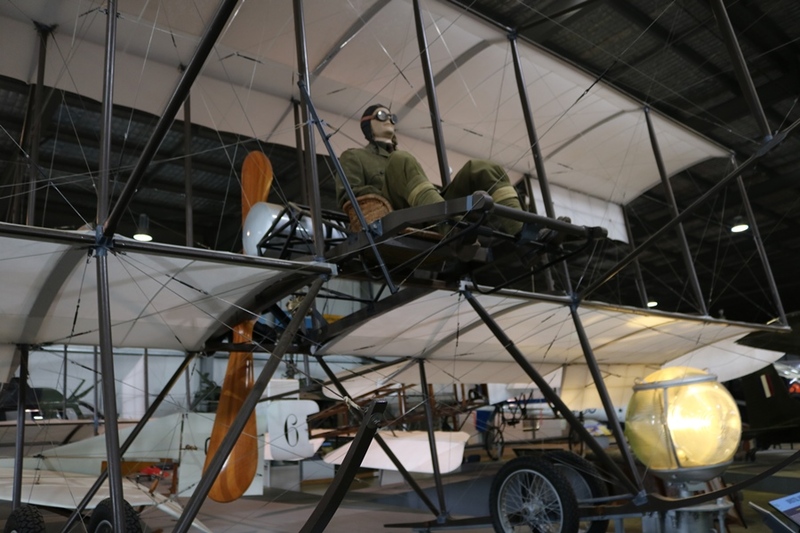 Alongside is a replica of an old foe, Manfred von Richthofen’s Fokker DR.I Driedecker triplane. 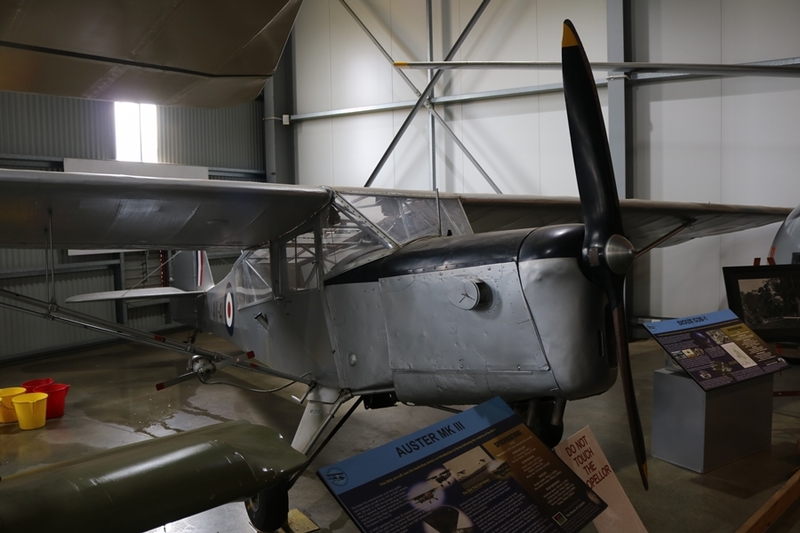 This one was built in 1973 for the movie The Great Waldo Pepper and was later flown by the RAAF Museum at Point Cook in Victoria. 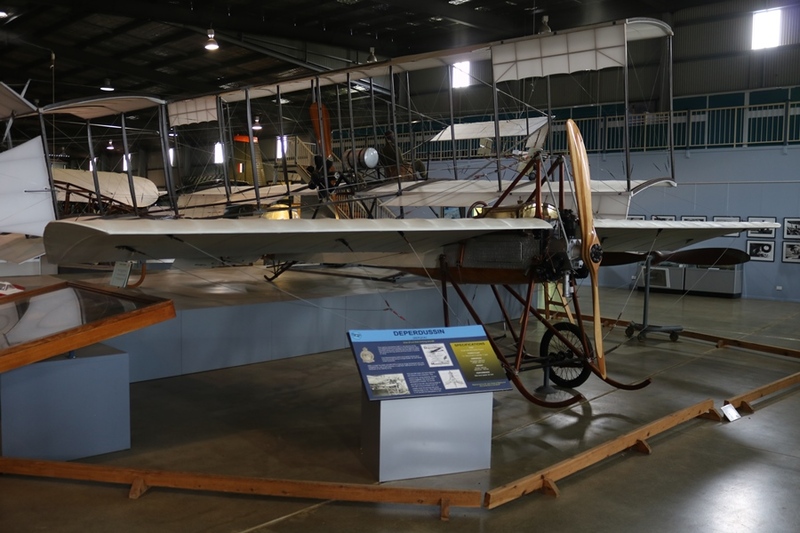 Both replica aircraft are well made and presented. Interestingly the DR.I replica manufacturing data plate indicates it was produced on the same date as Richthofen was shot down, just 55 years later! The aircraft give visitors a good presentation of the types of aircraft out aviators flew in those early days of air combat. 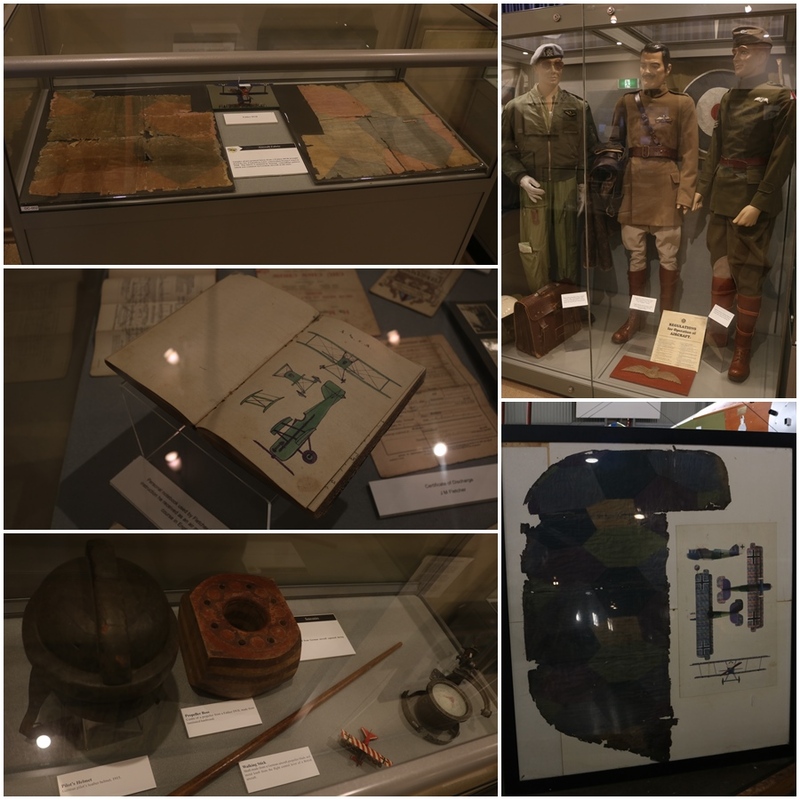 Inside a special display room is an absolute iconic treasure from World War One – a piece of red fabric with an Imperial German Air Service (Deutsche Luftstreitkräfte) cross on it that was removed from the underside of the lower wing of the triplane in which the “Red Baron” or “Red Falcon” as Richthofen was known then, was flying on April 21st, 1918, the fateful day he was shot down near Australian lines (credited to Canadian ace Roy Brown but believed today to have been hit by Australian army ground fire). The nearby AFC No. 3 Squadron took responsibility for his remains and conducted a full military honours funeral service the next day for the great ace. 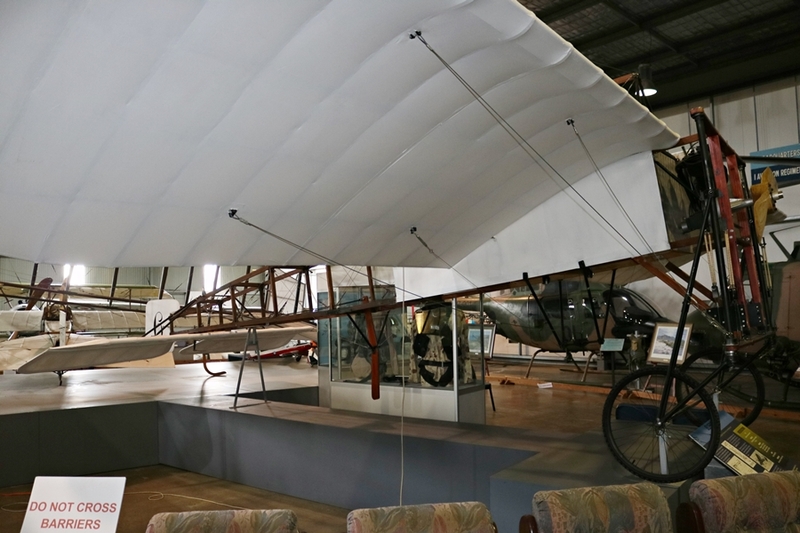 That aircraft and his possessions were heavily pilfered at the time, so to see such a large piece of remaining fabric and that cross is quite something (it was donated to the museum by the Australian War Memorial in 1989)! 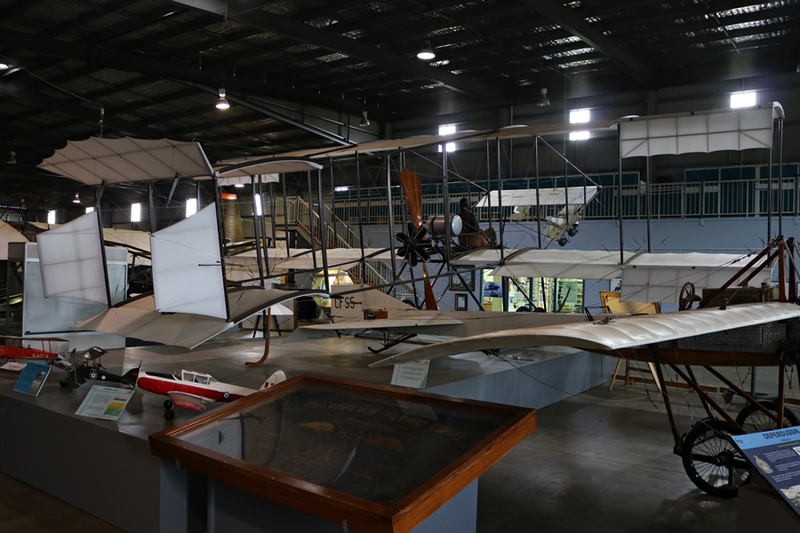 Other replica aircraft in the museum represent those operated for pilot training by the Central Flying School at Point Cook in 1914 and beyond. 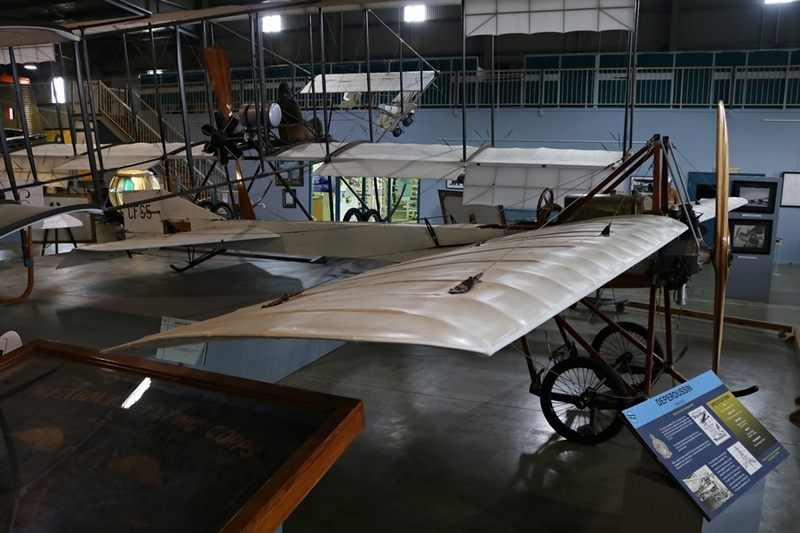 A replica Bristol Boxkite (CFS 3 the first trainer flown by the CFS in 1914 and one of four operated for training – this is apparently one of three flyable replicas built for the 1965 movie Those Magnificent Men in Their Flying Machines), Deperdussin Monoplane (represents CSF 5, one of two operated at CFS in 1914) and a Bleriot XI monoplane. After the war many of the men who flew for the AFC in World War One helped form the post war air arm of Australia which in January 1920 became the interim Australian Air Corps (assets were formerly transferred from the Army to the AAC in a Government Gazette announcement on December 31st, 1919). 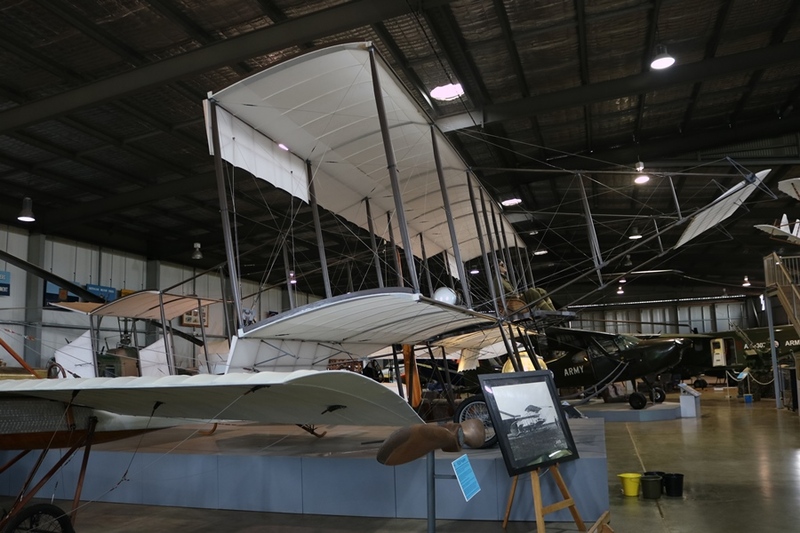 The title of the Australian Air Force was established on March 31st, 1921 and then following the official consent from King George V became the Royal Australian Air Force on August 13th, 1921. From 1921 the responsibility for Australian defence force aircraft was primarily the role of the Royal Australian Air Force (and helicopter operations until the 1960’s), and to a lesser extent the Royal Australian Navy Fleet Air Arm, which was established on July 3rd, 1947 and operated fixed wing combat aircraft until 1984 (a fully rotary wing force since 2000). The RAN aircraft operated from shore bases and off British Majestic class light aircraft carriers HMAS Sydney (commissioned in 1948, saw combat service during the Korean War 1950-1953, first decommissioned in 1958, then returned to service as a fast troop transport, the “Vung Tau Ferry” from 1962 to 1973 for service during the Vietnam War) and HMAS Melbourne (commissioned in 1955 and decommissioned in 1982 – purchased in 1947 it was upgraded to operate jet aircraft, so between 1952 and 1955 the British loaned Colossus class light aircraft carrier HMS Vengeance to the RAN). 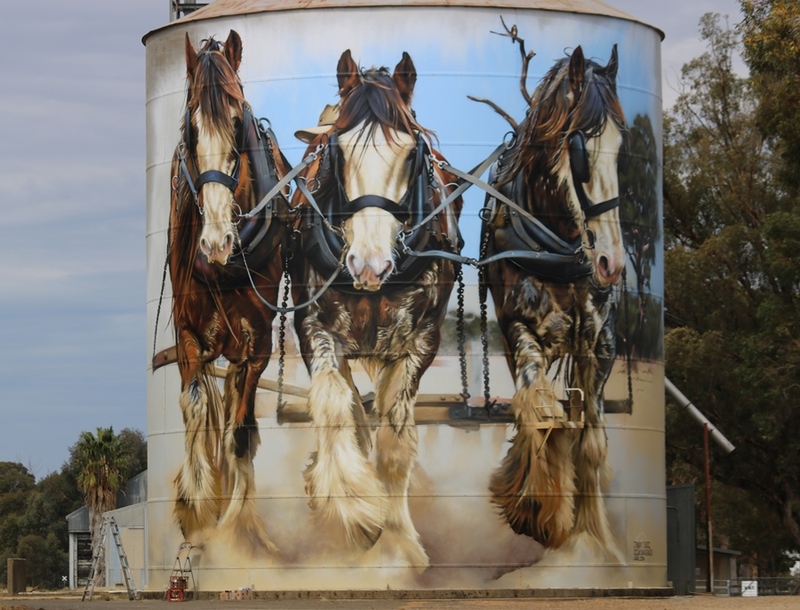 Modern Australian army aviation elements have been in place since the 1950’s. 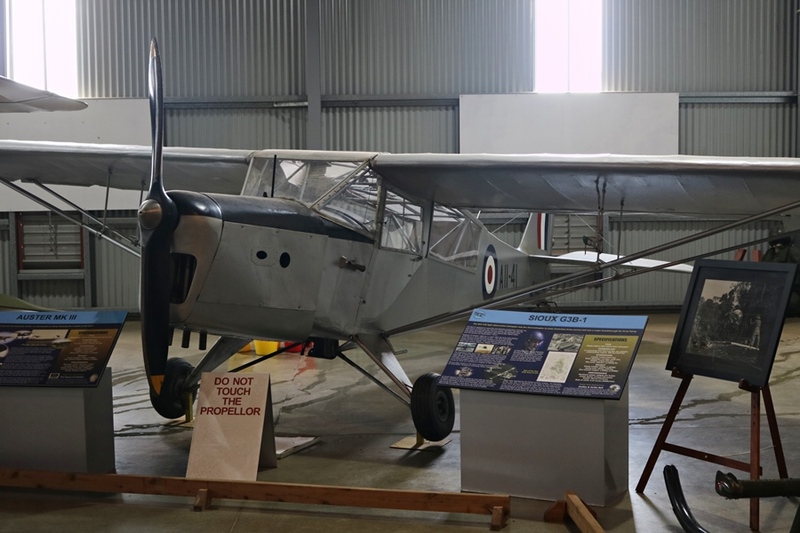 From 1951 army trained pilots were flying Taylorcraft Auster Mk.III light aircraft with the RAAF 16 Air Observation Post Flight and were primarily conducting artillery observation duties (Auster A11-41 is on display at the museum). In 1957 No. 1 Aviation Company was formed to train army pilots in chartered civilian aircraft. During the Korean War (1950-1953), 5 Army pilots flew Auster aircraft with the British Commonwealth Division 1903 (Independent) Air Observation Post (AOP) Flight from 1951 to 1953 – unfortunately Captain Bryan “Joe” Luscombe was killed in action following a crash from ground fire during the conflict and was the first Army aviator to die in battle since World War One. 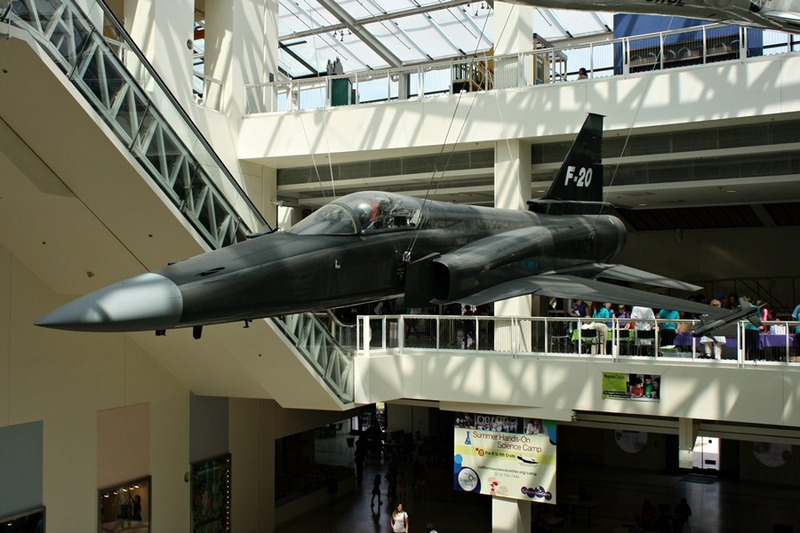 In 1953, Army pilots also flew on reconnaissance missions during the Malaya Emergency against communist insurgents. From 1959 the Cessna 180 light aircraft became the first Australian Army owned and operated aircraft since 1921 (19 were delivered between 1959 and 1962)! They were soon followed by Bell 47G Sioux helicopters (65 G-2, G-2A and G-3B-1 variants were delivered between 1960 and 1969. 31 had been written off by retirement in 1975! ), which were operated by the School of Army Aviation, No. 182 Flight and No. 161, 162, 163, 171 and 183 Squadrons for observation and training duties. From 1960 the RAAF provided basic flight and technical training for army pilots through to the “all helo” stage at RAAF Point Cook, flying CAC CA-25 Winjeel trainers (used in the training role from 1955 to 1975). As pilot training progressed the Army was responsible for providing their own flight instructors at No. 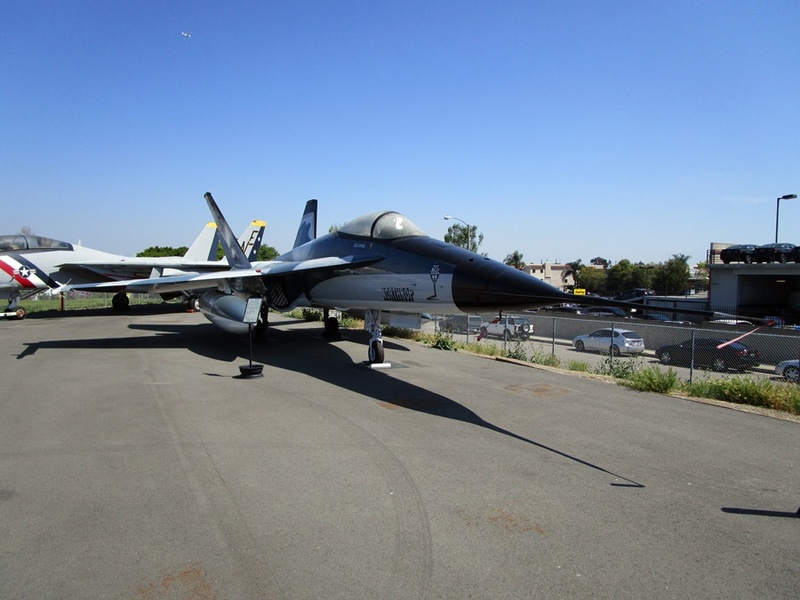 1 Flight Training School (1FTS) at Point Cook. The Cessna’s and helicopters were used for Army liaison, support, observation, reconnaissance and training but the Australian Army Aviation Corps was not officially formed until July 1st, 1968 (Oakey Airfield became the home of army aviation on July 1st, 1969). 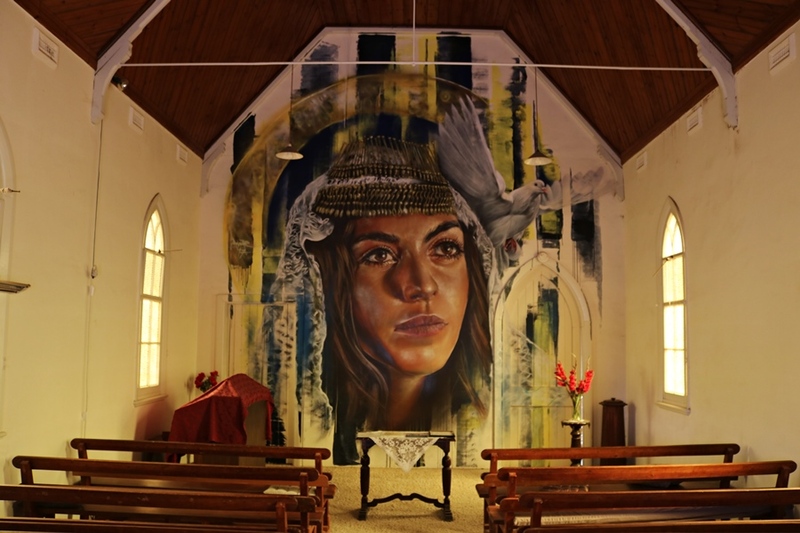 Thus 2018 marks 50 years of the official formation and the centenary of the end of World War One. The motto of the Army Aviation Corps is “Vigilance“. During the Vietnam War, Australian Army pilots as part of the 1st Australian Task Force eventually flew 3 Cessna 180 aircraft and 6 Bell 47G Sioux helicopters with the 161 (Independent) Reconnaissance Flight out of Vung Tau and Luscombe Airfield, Nui Dat in South Vietnam from 1965 to 1972. 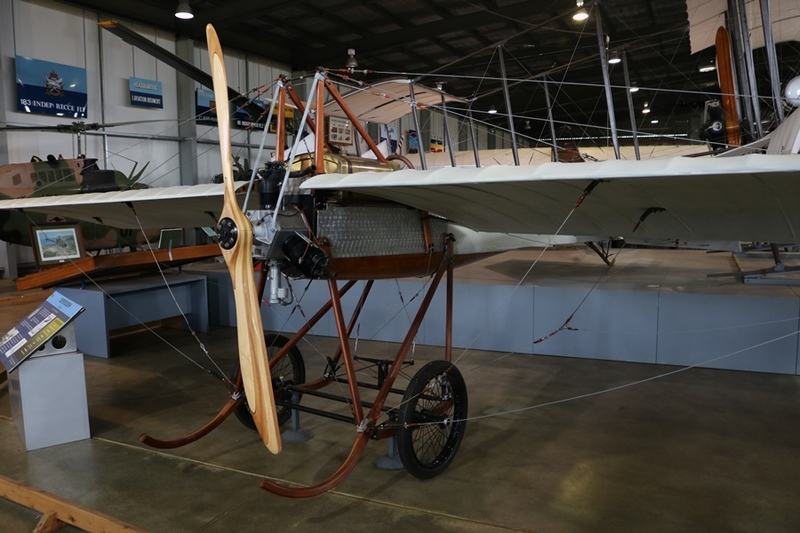 Commanded by Major Paul Lipscombe, this was the first Australian Army aviation unit to go to war since 1918! 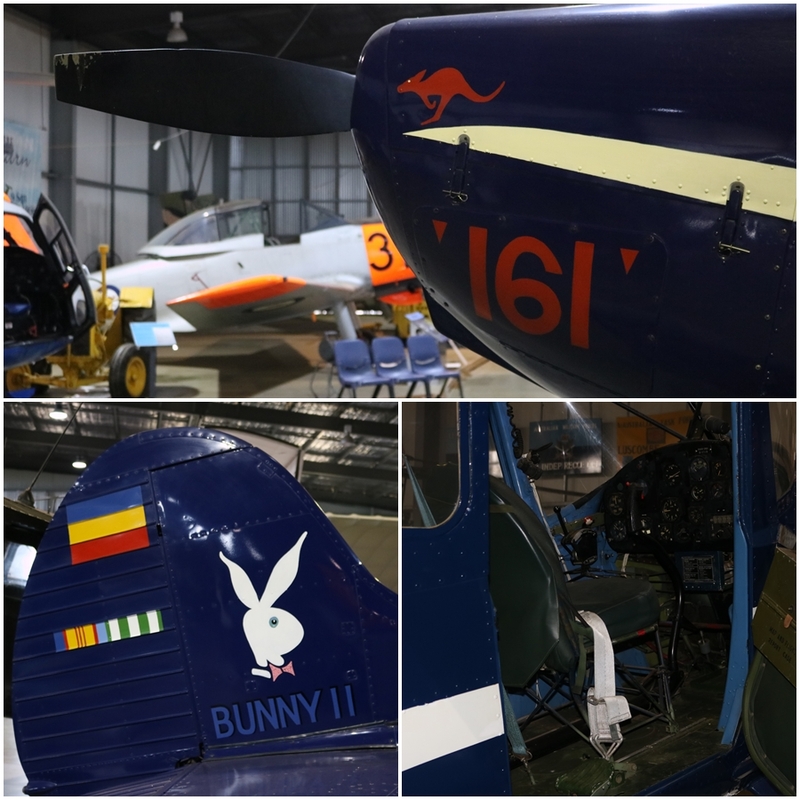 Both a Cessna 180 A98-045 and Bell 47G-3B-1 Sioux A1-720 are on display at the Australian Army Flying Museum. The 1961 Cessna 180 was one of the first two deployed to South Vietnam in 1965, the first fixed wing aircraft to land at Luscombe Field in 1966 and the last to be withdrawn from service in Vietnam in 1971 – retired in March 1973, it went to fly on in private hands until November 1989 (a worthy museum piece!). The Bell 47G-3B-1 was delivered in April 1964, deployed to South Vietnam from November 1968 to July 1969 and retired in 1975. In 1967 during Operation Renmark in South Vietnam, Captain Jim Campbell repeatedly risked his life whilst flying a Bell 47 Sioux A1-404 to rescue wounded soldiers from a minefield. He was awarded a Distinguished Flying Cross for his heroic actions. 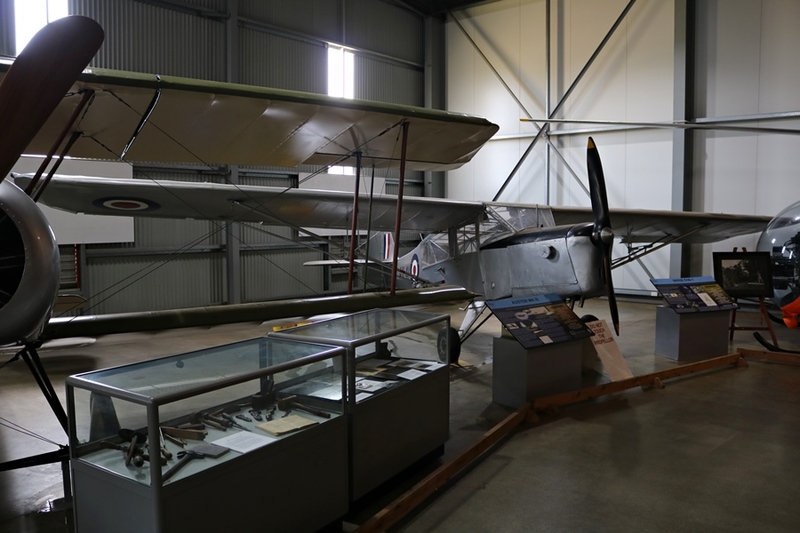 He was also aboard this helicopter on its last flight, then it went into storage in 1973 and today is part of the Australian War Memorial collection. This unit would expand to include two Cessna O-1 Bird Dog’s on loan from the US Army from August 1967 to May 1968. 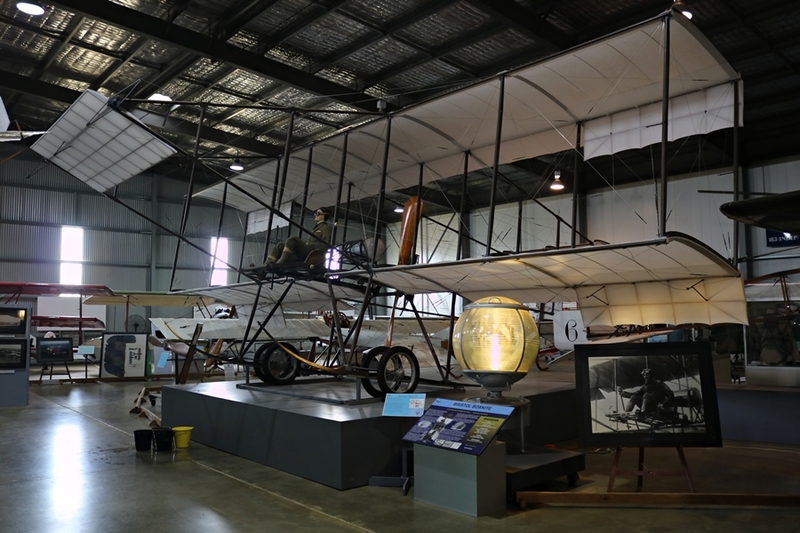 Another was also rebuilt by Australian engineers using scrap airframes from a US dump in South Vietnam in August 1970 and first flown in May 1971 – this became known as “Bunny II” and was shipped to Australia in 1971 for use as a glider tow plane at RAAF Amberley (today it is displayed in the Army Flying Museum). 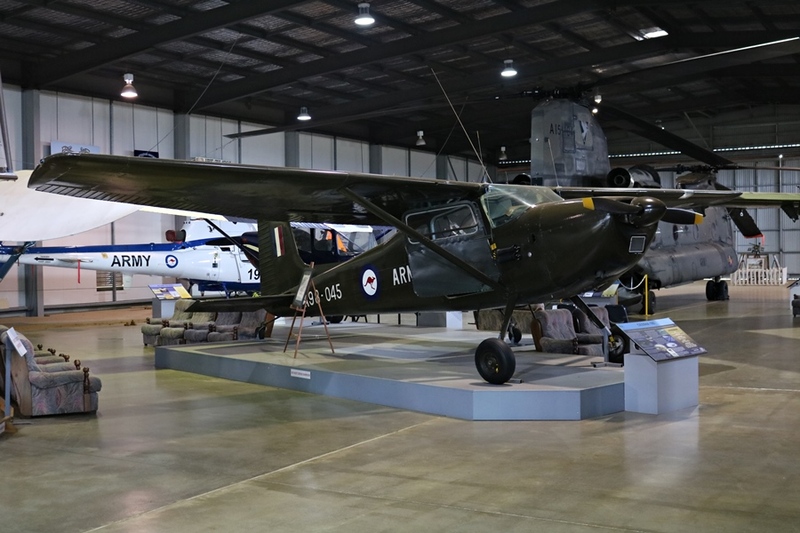 The 161 (Independent) Reconnaissance Flight later operated the 8 seat Pilatus PC-6 Porter aircraft (15 were delivered in 1968/69 and first deployed to South Vietnam in 1969) to replace the Cessna 180’s, which by 1971 had flown 16,146 hours in Vietnam! The Pilatus PC-6 Porter had excellent STOL capability and could operate from unprepared rough air strips in hot climates, all-weather and at high altitude. The PC-6 was the first turbo-prop operated by the army. 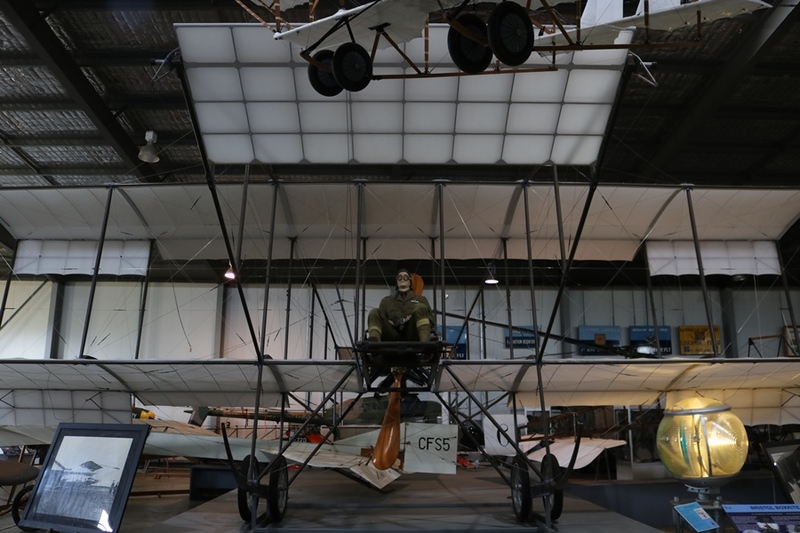 They were used for reconnaissance (including the use of cameras) but also conducted supply drops via underwing stores parachuting racks, resupply operations, casualty evacuation (stretchers could be carried in the cabin) and target marking (it could be fitted with rocket pods). 8 Bell OH-58 Kiowa helicopters were also leased for 8 months in 1971 from the US Army to replace the Bell 47G’s. The Kiowa would later be licence-built in Australia as the Bell 206B-1. These men flew low-level observation, reconnaissance, supply and evacuation missions in unarmoured and essential unarmed fixed wing aircraft and helicopters, in a very hostile environment. It is not surprising to read that the flight lost 12 aircraft (8 were Bell 47G helicopters of which 4 were shot down) and sadly three Australian Army pilots were killed in action during the conflict – Major George Constable (shot down and killed flying a loaned US Army O-1 Bird Dog on May 23rd, 1968), Captain Barry Donald and 2nd Lieutenant Alan Jellie. In my next post I will give a brief history of Australian Army Aviation Corps flying during the 1970’s and beyond, including modern-day conflict in Iraq and Afghanistan, and UN Peace Keeping duties. By 2009 Australian Army aviation had become an entirely rotary wing force. Fascinating as always. Thanks for sharing.